I love bacon! 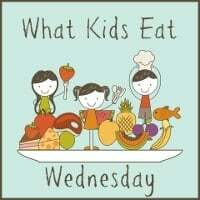 As a breakfast meat, a sandwich or on Mac'n'Cheese. I am a big bacon fan. And I know it's not that good for you. I have tried everything from Turkey bacon to vegan bacon to get my bacon fix but also be on the healthier side. And I failed every time. Nothing can really replace the smell and crispiness of real bacon. Sigh. And then I got an email. From Applegate. There is a new bacon in town with 60% less fat. So, of course, I HAD to find out for myself if the new bacon would live up to my bacon expectations! I was so excited when my package arrived. BLTs here we come! So, what's different? Applegate Good Morning Bacon is not made of pork belly like traditional bacon but from pork shoulder. It has 60% less fat and on top of that helps use more parts of the hog which helps make this more sustainable. So, let's fry up some bacon!! Making the bacon according to the Microwave directions was easy and both taste and look of the bacon was identical to regular bacon. I also made some bacon in a pan on the stove and it fried up wonderfully. It did not release as much fat as regular bacon (obviously) and fried up more like Turkey bacon. The result however was crispy, juicy and just delicious REAL bacon!! The only thing you need to be worried about is how much your family will LOVE it!! I made BLTs for everyone with Applegate Good Morning Bacon, tomatoes, spinach leaves and a drizzle of Balsamic glaze. The whole family loved it! 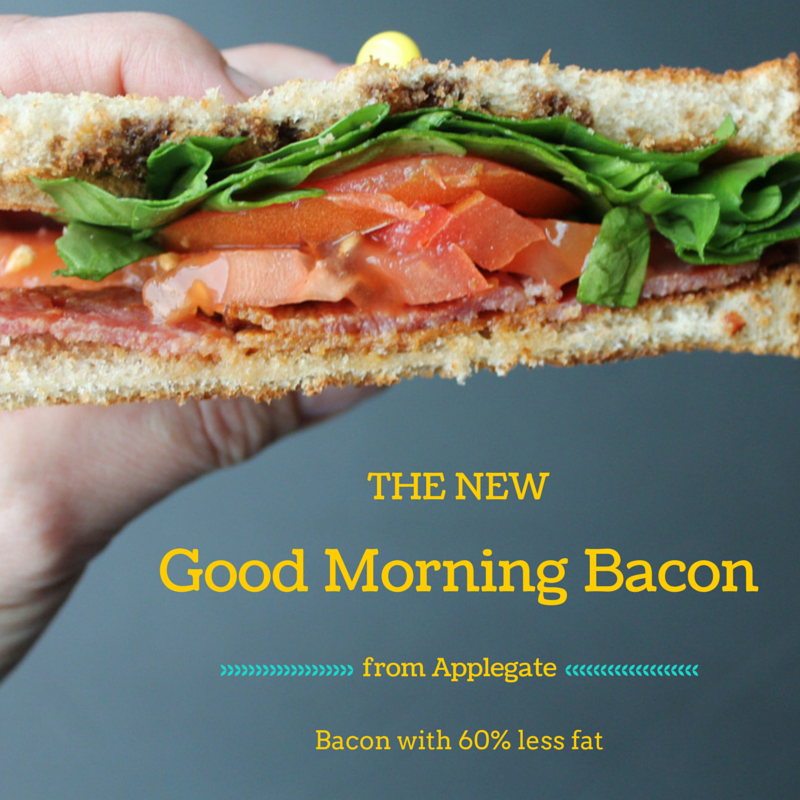 Applegate Good Morning Bacon BLTs would also make a fun school lunch! To test your Bacon Knowledge and get a $1 coupon head to Applegate! Disclaimer: Applegate sent me some Good Monirng Bacon to sample. All opinions are my own. I did not receive any further compensation. Ummm...YUM! We are HUGE bacon lovers at our house. So much so, that my one year old notices if he's getting gypped out of a piece. I'm gad this was so yummy! We will definitely have to take a look at it. My family love bacon too. It good to find a healthier version of bacon. Thanks for sharing! That looks delish!! Such huge piece of bacon. We usually just make BLTs for dinner on our way to camping. 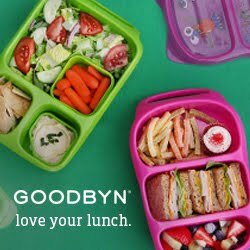 They are so yummy and easy to pack. Maybe I will feel the warmth of camping (in these frigid temps) if we make BLTs for dinner tonight!! !